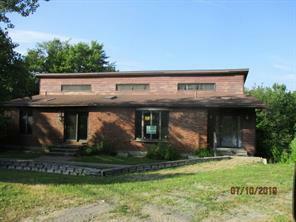 Unique Contemporary Ranch style w/2bdrm/2full bths, 25' living room, 14x12 loft, open kitchen/dining. hardwood & tile. full basement framed out for additional living space. first 20 days-owner occupant or non-profit buyers only. being sold "as is"